A few weeks ago our son taught me how to play chess. Although I have read quite a bit about the esoteric background of chess, I had never played it. Our son had just learned it from a friend and since then we play every day. Our daughter started playing too. I enjoy this very much. I notice that I am disappointed when there is no time for our daily chess tournament. Our son wins almost all the games, and I even have lost several times from our daughter. But I don’t play to win, I am most of all in awe over the beauty of the game. Many times in every game when a certain move is made or a certain situation on the board occurs, I realise that the game is perfect. And I wonder how this can be? According to Wikipedia, chess has been played since the fifteenth century. That makes chess a miracle. The game is the intellectual equivalent of at least a watch or typewriter or a car. How and who did somebody back then come up with something perfect like chess? I raised this question with several people, but I didn’t see much recognition. To me it is a true mystery: the game obviously shows that there was an amazing intelligence behind it, but where are the other signs of this amazing intelligence? For me it a similar mystery as the Great Pyramid or the bible. Chess is not just a game. From an esoteric standpoint it is clear that chess is a metaphor for life. But the ideas that I have read about to interpret this metaphor vary wildly. If anybody knows a good book about this subject, I would love to hear the title. I always wanted to make a set of chess pieces myself, and this seems a right time to do it. So far I have only made some sketches. While sketching I wondered why the “horse” is called a “knight” and why the “ bishop” looks like a knight. And why is the “tower” called a “rook”” or a “castle”? An sure “pawn”” means not the same as “pion”. How can I make pieces if don’t even know what they are? There are many songs about chess, as I found out when I tried searching for them. I have the LP of the musical, but I won’t risk my reputation by sharing a song from that LP with you. I would love to share a song that is about the metaphor chess is for Life, about making moves, losing and winning, taking risks, being stupid, etcetera. But I don’t know such song. 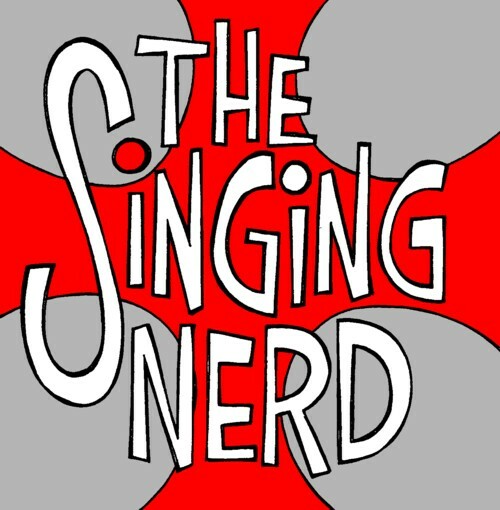 So here is (again) The Singing Nerd with one of his songs. How many artists do you know that have made songs about clones, time machines, parasites, robots, Batman, aliens and chess?